It seems like forever since Stephen Curry last played in an NBA game, but after much anticipation, it looks like he’ll be back very soon. The Golden State Warriors have officially listed Curry as probable to play in game 2 against the New Orleans Pelicans. Curry had been previously ruled as questionable to play in game 1 but was ultimately held out of the lineup. Chris Haynes has a great piece on ESPN detailing the circumstances surrounding what will likely be Curry’s postseason debut. Head coach Steve Kerr explained that despite Curry’s lengthy absence, he will not be putting any minutes restrictions on the superstar point guard. 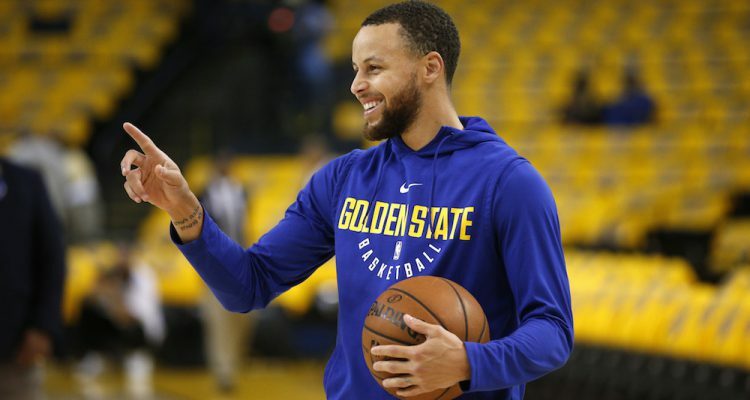 Curry has participated fully in the last four team practices, and he said that he personally felt ready to go for game 1. The urgency for Curry to return suddenly feels dampened by how the Warriors commandingly won game 1. A lingering fear is that Curry will rush himself back too quickly and end up getting hurt again, perhaps so severely that he won’t be able to return later this postseason. The good news appears to be that the Warriors training staff has handled his injury extremely cautiously, so there isn’t too much of a concern regarding him returning prematurely. While that specific fear is mitigated, there’s still anxiety that Curry can suffer an unrelated injury playing in a game that the Warriors didn’t even need him back for. If the Warriors continue to beat the Pelicans without Curry, perhaps the best strategy is to sit him out until they lose a game or the series appears threatened in any way. Remember that Curry originally sprained his MCL the same game that he returned from a six-game absence due to an ankle injury. It would be a shame if Curry came back only to injure himself in another unrelated injury again. He has to come back eventually, but it seems a bit drastic to bring him back after such a serious injury for a game that they can probably win without him. Athletes want to compete, though, and it’s the job of the training staff to put that athlete in a good position to succeed. If Curry believes he’s ready for game 2, and the training staff is confident in his rehabilitation, he’ll be playing in game 2. It could also take a few games for him to get back into a rhythm, so perhaps that plays into the strategy of an early-series return. The Warriors dominated in game 1 without Curry, so with a healthy Curry back in the lineup, it’s hard to envision a scenario where the Warriors don’t win this series.